Let me introduce you to a little-known AI technique called federated learning. 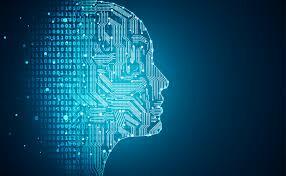 It builds upon the same concepts behind machine learning and has the same advantages while offering some unique benefits when it comes to the security of data and the inherent privacy issues that such algorithms can raise. This leaves us with something of a chicken and egg situation in which federated learning could be the proof people need to open up their data – but it needs their data to prove itself in the first place. Still, there are plenty of advantages to federated learning and few drawbacks. For example, combining data from different models could create a master model that’s worse than its constituent parts. On top of that, for this approach to work in practice, each hospital would need to have the equipment and the technological knowhow to train machine learning models. At the moment, it’s still early days for federated learning, and we’re yet to see the full potential of what the approach has to offer us, not just in the healthcare industry but across the board. Don’t be surprised if you start to hear more about federated learning in the future. I try not to get too excited whenever I read about some new piece of legislation that’s designed to aid the healthcare industry. I like to think of myself as an optimistic realist, and I could be criticized for not being enough of a cynic, but when it comes to new regulations and legislation in the healthcare industry, it seems as though many of them do more harm than good. Still, I have to admit that I was impressed when I heard about recent rules from the Office of the National Coordinator for Health IT (ONC) and the Centers for Medicare and Medicaid Services (CMS). The aim is to give people free and easy access to health data while making it easier for them to share that data with third parties, from healthcare providers to tech companies and more. If implemented correctly, these new rules could make a huge difference, helping us to overcome many of the flaws and inefficiencies in our current system. In my eyes, anything that shifts control of data over to the consumer is a good thing. One thing’s for sure, though. Opening up the data and giving patients the ability to determine how it’s used and who it’s shared with will ultimately help to foster creativity and competition in the healthcare industry and help to usher in a brighter future, so long as the two rules work as intended. Only time will tell if they live up to their potential. I talk more about new technologies and their impact on the healthcare industry in my book, The Future of Healthcare: Humans and Machines Partnering for Better Outcomes. Click here to buy yourself a copy.